Remember growing up as a kid watching Fantasia at the movies. This was a great show then and still is with great music and all. 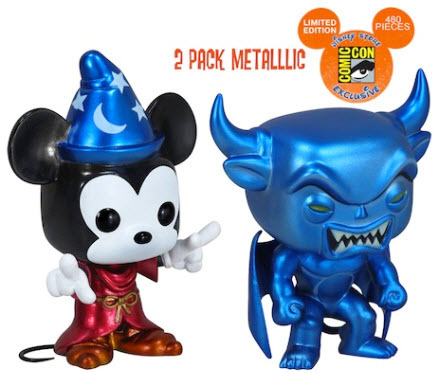 Get this Funko limited-edition collectible Disney product of Mickey Mouse as a sorcerer and the evil Chernabog 2 pack Metallic PAINTS from the SDCC 2012 Comic Con Show.